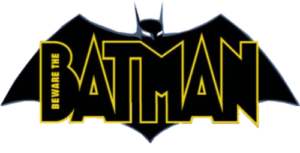 BEWARE THE BATMAN was a computer-animated Batman television series. It debuted on Cartoon Network on July 13, 2013. It was the replacement for the previous animated Batman series, BATMAN: THE BRAVE AND THE BOLD. 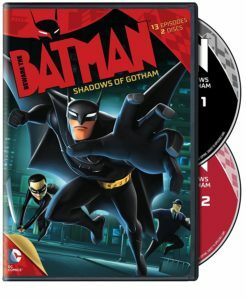 BEWARE THE BATMAN was produced by Warner Bros. Animation and Xentrix Studios in India produced the computer animation. 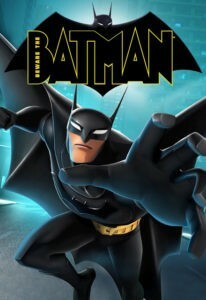 Without any explanation or forewarning, BEWARE THE BATMAN was pulled from the Cartoon Network lineup after episode #11, “Instinct,” in October of 2013. It was eventually revealed that the series had been canceled, though no official explanation or reason was ever given. Produced by Warner Bros. 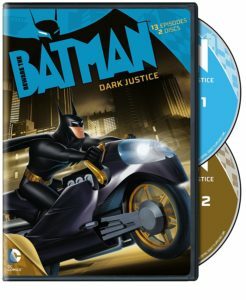 Animation, this action-packed detective thriller deftly redefines what we have come to know as a “Batman show.” Featuring cutting-edge CGI visuals to match the intricate twists and turns of the narrative, Batman steps out of the shadows and into the spotlight for an entirely new generation of fans. Anthony Ruivivar (Batman/Bruce Wayne), JB Blanc (Alfred), Sumalee Montano (Katana), Kurtwood Smith (James Gordon), and others.